I bought this kit for opening my Wii, which includes a T8 screwdriver bit (technically a TR8 bit, but works for both T8 and TR8 screws). That guide says you need T6 & T9 bits, not T8. You might be looking at a guide for a standard XB1 controller, not the Elite. 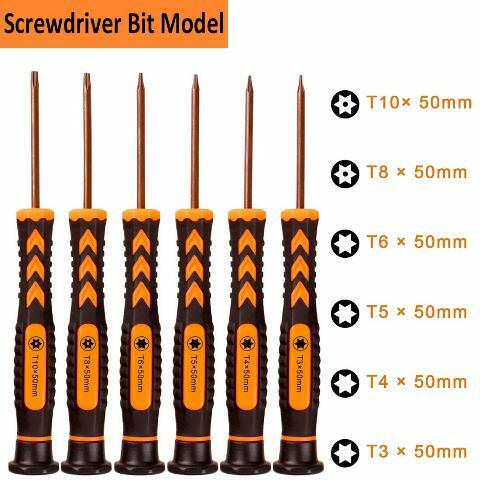 Fortunately, the two screwdriver sets I recommended has those bits as well. The guide for the Elite mentions de-soldering and resoldering wires inside the controller. How are you soldering skills? Quit looking at pron on your Xbox and go back to using your computer. You could check to see if you have any people that repair consoles in your area. They probably do work on controllers as well for likely a small cost. A $25 Amazon gift card, combined with enough points for $3 in Xbox credit gave me enough to grab Monster Hunter World, since it was half off. Is Mercenaries the first original Xbox game they have given away so far? Nothing too interesting for me, but I guess having Dragon Age 2 digitally if i ever feel like playing it again might be nice. I already have Never Alone, it's easy but kind of a nice quick play through for the cultural aspect of it. Cool, Xbox owners get Never Alone for free a mere 44 1/2 months after it went free for PS Plus. Nuts, it looks like I already bought the Never Alone collection. could someone please tell me where this 5th screw is supposed to be? all the videos show right in the middle after you take battery out. i don't see that on mine. i tried to pry open without too much force. was able to get to A button and swab it, put it back together, but nothing changed. thanks. 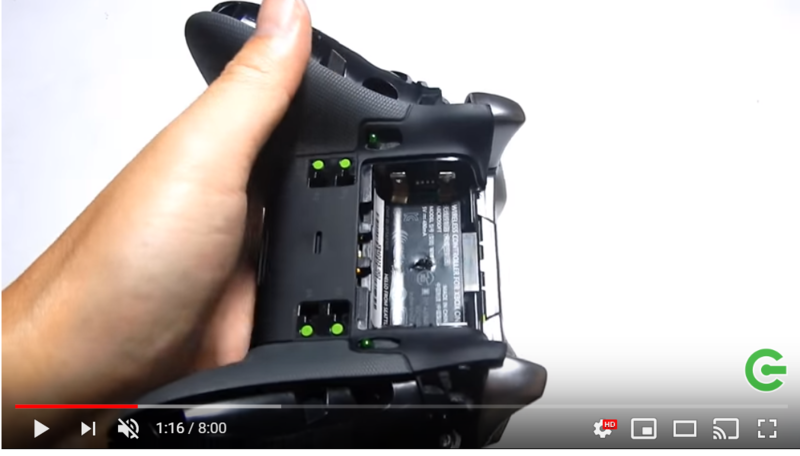 If you watch the video you can see they puncture that sticker, so they can tell you have voided your warranty (which has expired in your case anyway). Yeah, he doesn't mention that. Seems like he should have. 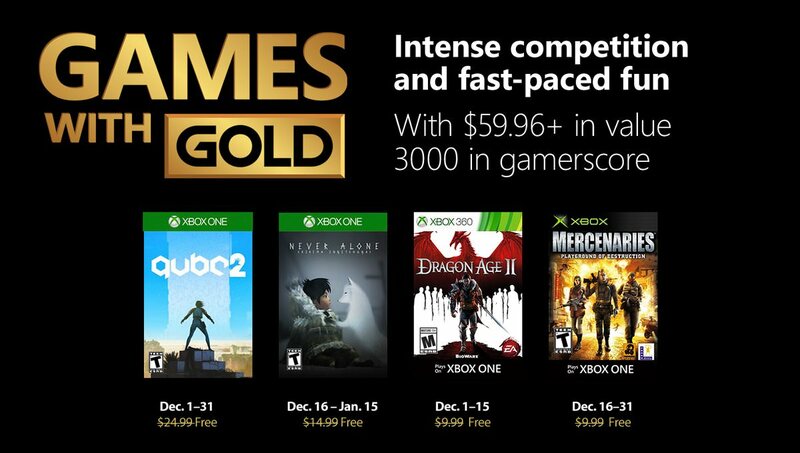 Cool, maybe I'll finally be able to finish Amalur. For some reason it kept crashing on my 360. It wasn't perfect (got too easy, and a little too long) but something about it was just fun. DrinkBox Studios has announced that Guacamelee! 2 will be making the jump to Xbox One early next year, seeing the return of brave Luchador hero Juan Aguacate in another Metroidvania-style adventure. Featuring another expansive, handcrafted world to explore, inspired by vibrant Mexican culture and folklore, Guacamelee! 2 will also pit you against a rogue's gallery of new villains and "weirdos". You'll learn wrestling moves to keep the skeletal hordes at bay, encounter tricky platforming challenges, and even have a run-in with the Chicken Illuminati. Drop-in local co-op for 4-players, a new upgrade system that has you learning new movement skills and combat abilities from trainers, all-new areas from the Mangrove Swamp to the depths of Hell, will also be present and correct, as will a selection of "eccentric" new bosses. Guacamelee! 2 will be leaping to Xbox One and Windows 10 in January 2019, with a single purchase granting access to both versions. Check out the Xbox One version of Guacamelee! 2 in the announcement trailer below. Modus Games has announced a new partnership with Exordium Games to bring the Steam title' Bear With Me' to PlayStation 4, Xbox One and Nintendo Switch in 2019. Bear With Me is an episodic series which follows a young girl named Amber and her teeny tiny detective teddy bear as they attempt to solve the disappearance of Amber's missing brother, Flint. You'll be able to host some pretty dark interrogations and find all sorts of hidden clues while unravelling the mysteries of this dangerous and corrupt world. Bear With Me is set to be heading to PlayStation 4, Xbox One and Nintendo Switch in 2019. I was browsing the gift cards at my local Dollar General today and found something I had never seen there. A three month Game Pass card. I grabbed it and by putting on auto renew with it, I got four months for $30. I'm good until April now. It was like it was meant to be, as I had to remove the card I had for Game Pass. That's pretty awesome. If they can carry that momentum into next generation, they will easily have half of the 360 games on backwards compatibility. That will give them a pretty big leg up to start with, assuming they don't fumble it again with some sort of mandatory add on to jack up the price over their competitor. The momentum seems to be slowing. Here's a breakdown I made after the first year of BC, back in 2016. I was looking at the stats, and while they've made 300 games backwards compatible in a a little over a year (going from the official launch last November), only about 100 of those were games that were released on disc, the majority (200) were XBLA games. Now, there's some overlap between the two (Zuma's Revenge is listed on both pages), and some already have XBox One versions, and others like annual sports titles are unlikely to be made BC, while finally others may have licensing issues. However, assuming maybe 1500 viable titles, that's 1200 left, and at the rate of 300/year it'll be 4 more years before everything's available. Of course, I was counting the 121 launch titles as part of that first year, when maybe those should've been counted separate. Also, since that post, Wikipedia has combined the XBLA list with the retail list, to list a total of 2103 unique games for the 360. Looking at Wikipedia, only 85 Xbox 360 games have been made BC this year. There have been 19 original Xbox games added as well, which is why the tweet says "over 100 titles," which is true if you combine both Xbox and 360 titles. But it means a lot less 360 titles this year than in past ones. Another factor in the slowdown is likely the XB1X enhancement of some BC titles, which likely increases the development/QA time spent on those titles, leaving less time for additional games. However, it still means that only 530 out of 2103 Xbox 360 games have been made BC so far, and if the release schedule continues to slow, it could take many more years before half the 360 library is available.